After a beautiful Easter holiday weekend, we can’t help but start off the week with something chic, bright and beautiful — with some sweet helpings of pretty pastel hues a la Easter-esque. It’s a girly palette indeed, but there’s always something quite elegant and easy on the eyes about this sleek halter dress style. 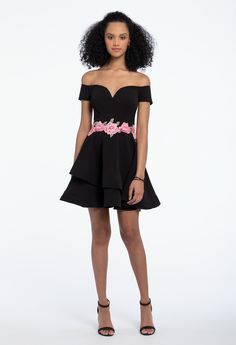 While its classic silhouette can transition into so many different events beyond prom, it also maintains a very current look for the gorgeously fresh spring season. And with just the right touch of bedazzle along the bodice, you’ll possess all the necessary elements of sparkle without going over the top. It’s our Prom Look of the Day! SHOP THE LOOK HERE! And we’re eager to know your thoughts on style – TELL US YOUR COLOR PICK on our Facebook page!